In my perpetual quest for superior paranormal young adult fiction, I discovered Claire Legrand's Sawkill Girls, which has been getting great reviews since its release in October 2018. Suffering somewhat from paranormal series fatigue and thrilled to have discovered a stand alone novel, I was immediately drawn in to this story about the exclusive island community of Sawkill Rock with its astonishing displays of wealth and privilege set against a background of disappearing girls and unfathomable evil. Sawkill Girls is written in a lyrical, almost poetic style that reminds me of my first-loved Lauren Oliver novel Delirium. Like Delirium, I read this novel over the Christmas holidays and begrudgingly resented quality time that my family stole away from reading to spend with them. I kid but book lovers across the world know the pain of being torn away from certain books. Despite an almost whimsical style, Claire Legrand's every word in Sawkill Girls is of importance. This is evident from the opening pages with the appallingly inadequate words people utter in the face of grief to the climax of the story and the willingness of men to sacrifice women to achieve unproven and deluded ends. In a book where magic and evil are metaphors for greed, power and patriarchy, it is most satisfying to encounter a paranormal plot that is well thought out and expertly constructed. This is the first of Legrand's books that I have read but I'm intrigued by her intelligent and complex storytelling, often so lacking in young adult paranormal fiction. 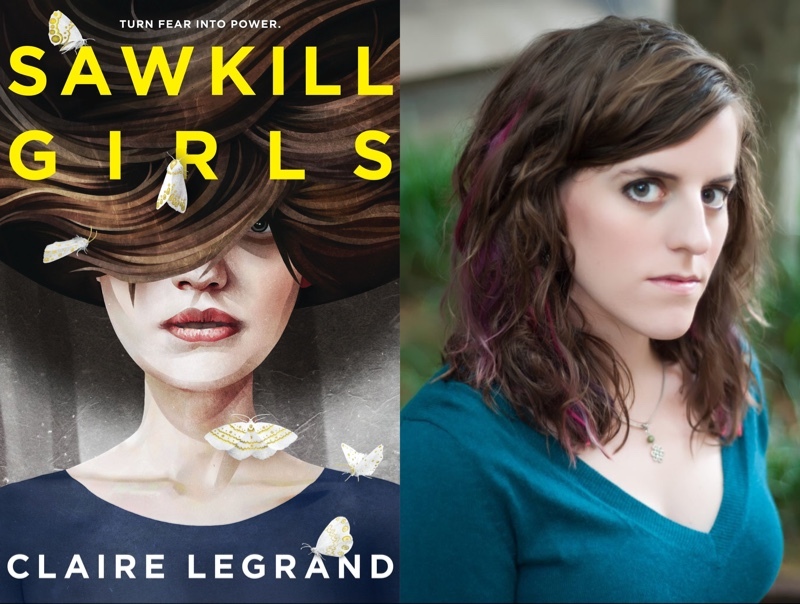 Ultimately, no one describes Sawkill Girls better than Legrand herself on Goodreads: "This is a book about girls - girls loving girls, girls kissing girls, girls being friends with girls, girls helping girls. Girls who hunger, girls who rage, Girls who fight, girls who make mistakes, girls who dream and pine. It's also about magic and monsters, family secrets and soul-friends, moths and wild horses and the churning wild sea, and trampling the patriarchy". Which brings me to the part of the book that I most loved, and there was a lot to love in a book where every page contained a little bit of magic. Asexuality is often invisible and in the rare instances that asexual characters appear in books, they are often merely caricatures. In Sawkill Girls, Claire Legrand has created a complex, asexual protagonist in Zoey where her orientation, while explored in depth, is nowhere near the most interesting or important thing she achieves in this novel. I clearly loved Sawkill Girls and I give it superb five out of five stars. I recommend it to anyone seeking intelligent, character and plot driven paranormal young adult fiction, while simultaneously smashing the patriarchy.